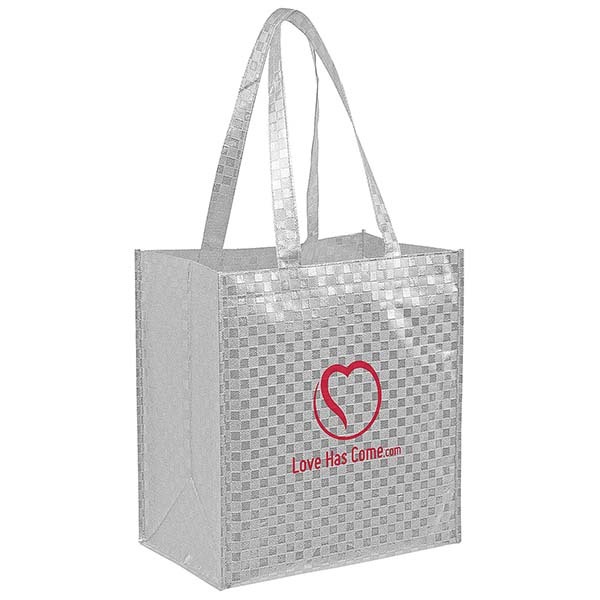 These bags made from non-woven polypropylene plus a metallic lamination with smooth texture. 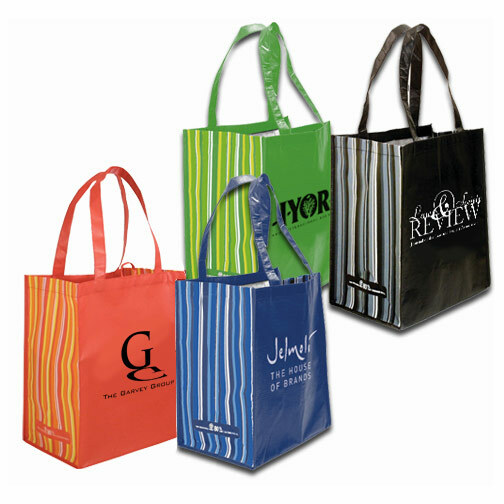 Lamination provides additional structure and strength. Eye catching metallic color and finish attract more attention to your logo. 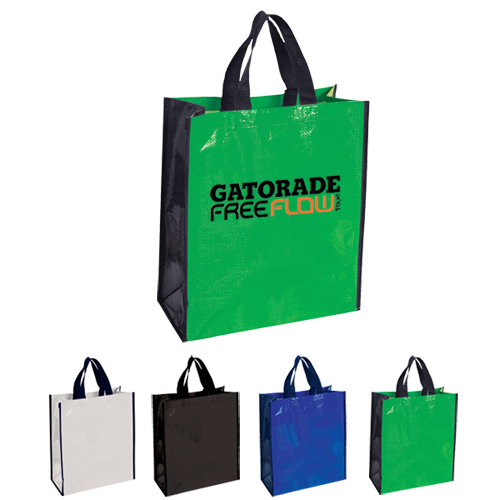 Includes poly board insert made from recycled plastic to provide extra strength for carrying heavier items. 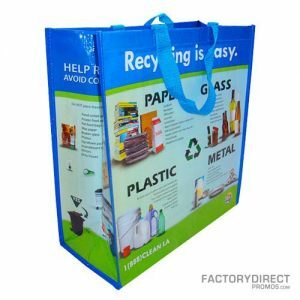 For even more strength, check out out heavy-duty reinforced grocery bags.